Emergency Vehicle Upfitting: LAWS provides complete upfitting and fabrication services at our Englewood Colorado Location. LAWS installers hold EVT, MECP and ASE certifications. 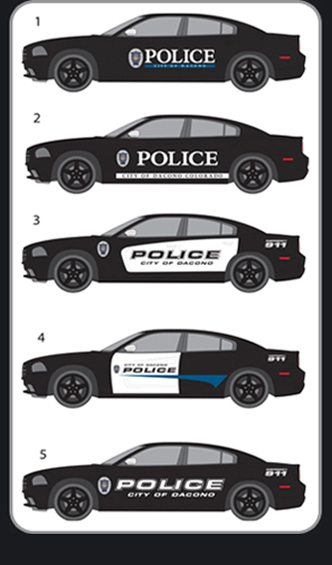 Emergency Vehicle Graphics: LAWS can design and produce emergency vehicle graphics in house. Our design team can create existing vehicle graphic designs or assist you in a new vehicle design. We use premium material by the leading vinyl manufacturers. Emergency Vehicle De-Commissioning: LAWS provides complete De-Commissioning services. LAWS can remove existing equipment and restore your vehicle back to OEM condition. In House Fabrication: LAWS can fabricate any part you need. LAWS can design and fabricate custom one off parts or mass produce as needed. LAWS fabricators have over 20 years working with Steel, Aluminum, ABS, and Polycarbonate and Lexan.